The legacies of Suppression: Jesuit culture and science: what was lost? What was gained?, by Louis Caruana. 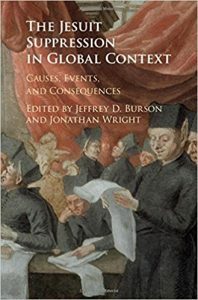 Update: The Journal of Jesuit Studies has reviewed The Jesuit Suppression in Global Context (Volume 3, Issue 3).